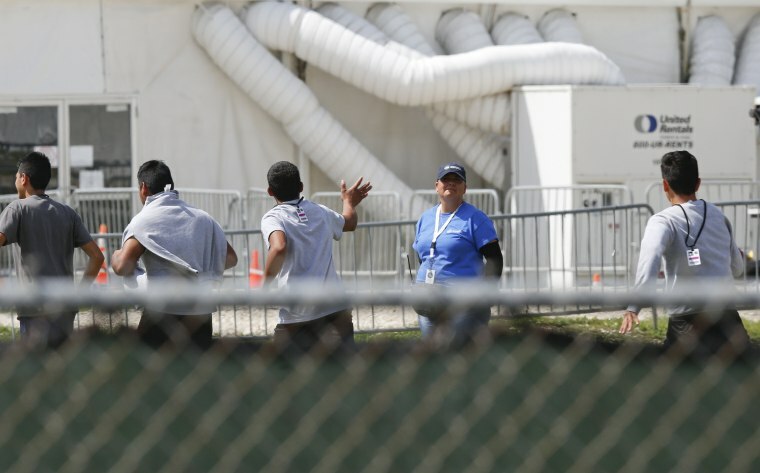 HHS secretary also said some children who are part of the nearly 3,000 may not qualify for reunification because they became separated from their parents during their journey and not by U.S. border agents. Previously, Azar had told a Senate panel that his agency had 2,047 children remaining to reunify with their parents in the wake of the Trump administration's "zero tolerance" policy, but he told reporters on Thursday that the number is larger because a court order has required HHS to reunite all separated migrant children, even those taken from their parents before zero tolerance went into effect in early May. NBC News previously reported that U.S. Immigration and Customs Enforcement agents were giving parents the choice between leaving the country with or without their children. Azar called those deadlines "extreme" and warned that some procedures the agency usually follows to ensure children go to their rightful parents and safe homes may have to be nixed. "We will comply even if those deadlines prevent us from conducting a standard or even a truncated vetting process," Azar said.